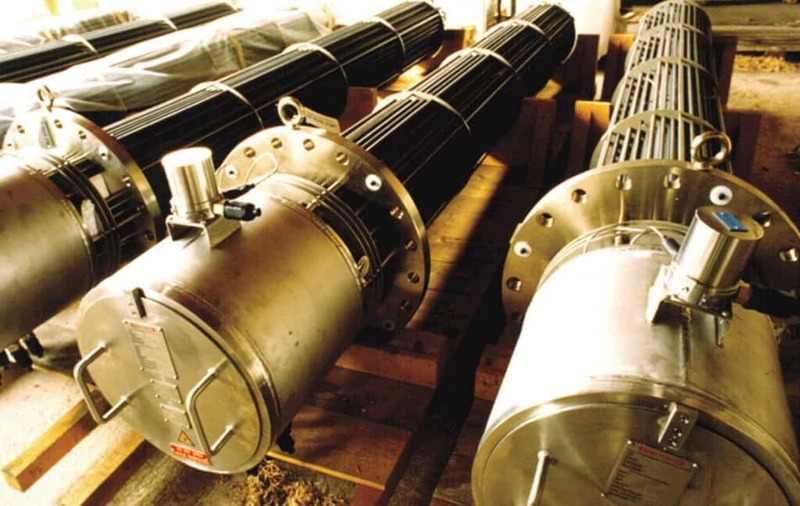 Chromalox are a world leader in the manufacturer of explosion proof and hazardous area heating solutions, including Ex e and Ex d certified electrical heaters according to ATEX Directive for use in Zone 1 and Zone 2 locations. With headquarters in Pittsburgh, Pennsylvania, Chromalox have a presence in six continents and more than 2,000 authorised distributors worldwide providing rapid service and support of specialist electrical heating equipment. 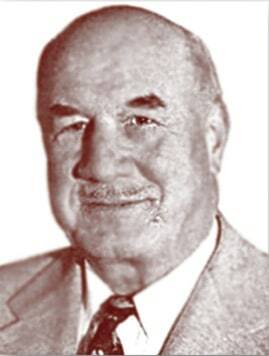 Chromalox invented electric heating technology when Edwin L. Wiegand, a self taught engineer, had a patent in 1915 for a resistance heating element embedded in an insulating refractory and enclosed in a metal sheath. Today they develop advanced industrial heating solutions include heat tracing cables, circulation heaters, immersion heaters, fan heaters, air heaters and component heating technologies. Chromalox Hazardous Area Industrial Heaters – ATEX & CSA certified for safe installation in Zone 1 and Zone 2 hazardous areas. Industrial heaters are available for use within both safe and hazardous areas with a full range of international certifications covered including ATEX, IECEx, CSA, SAA, BKI, EVPU and GOST. Chromalox line of heat tracing cables utilise a number of different cable heating technologies to ensure all frost protection and process temperature maintenance applications can be satisfied – this includes self-regulating, constant wattage, mineral insulated and PFA insulated heating cables. Also available are heat tracing accessories to aid installation and monitoring with ambient and line sensing thermostats, junction boxes, splice kits and fixing tape which are also suitable for hazardous area applications. Listen to Chris Myers, Product Manager of Chromalox Heat Trace, presenting an overview of the Chromalox heat trace products for commercial, industrial and hazardous area pipework heating. Chromalox CVEP is a wall mounted convection heater which is ideal for industrial heating applications within a Zone 1 or Zone 2 hazardous area location where volatile flammable liquids, gases or vapours may be present. The CVEP is UL listed and CSA Certified along with ATEX and GOST approvals. Constructed using low watt density heating elements with copper and aluminium fins, housed within heavy duty corrosion resistant polyester powder coated 16 gauge steel. An explosion proof junction box protects the conduit entry and allows for easy power wiring. Optionally the CVEP can be factory installed with a thermostat, magnetic contactor or control voltage transformer. 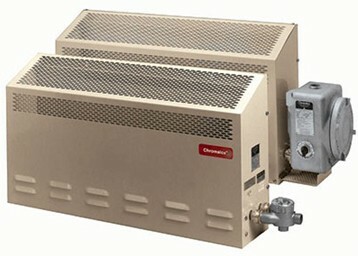 As Chromalox manufacture a broad range of electrical heating products, they are able to cover almost any environment where heating is required such as building, construction, chemical processing, commercial food equipment, lab, analytical, medical equipment, oil, gas, petrochemical , power, transportation and waste water. Within the building and construction industry for example, heat tracing cables can be used for frost protection of water pipework, snow melting for roofs and gutters or hot water temperature maintenance for energy efficiency. 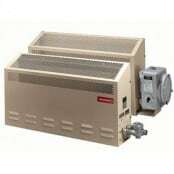 Circulation heaters can be used within the chemical industry to to heat steam for large tank heaters which maintain viscous materials at an optimal temperature for pumping or to maintain the temperature of heated water loops for eye wash and safety shower stations. Chromalox technical manual covering trace heating cable selection, design, heat loss calculation, heat transfer fundamentals and radiant infrared heating theory. Founded in 1917, Chromalox initially began producing strip heaters using Edwin L. Wiegand’s resistance heating element patent which was used in a product which became the modern household clothes iron. Stamped with the word “chrome” and using a cement mix to “lock” in the heating element, Chromalox was established. As the company grew, they continued to develop new industrial heating products, moving into new industries before eventually expanding into global markets by acquiring manufacturing facilities in Grimwood, England and Etirex, France. Today, Chromalox continues to develop new advanced thermal technologies for the world’s toughest industrial heating applications with an international presence and offices around the world in countries including India, Thailand, Germany, Singapore, and Dubai – their focus is on is on engineering innovative heaters and controls of the highest quality for our customers, just as Edwin L. Wiegand did more than 90 years ago. Since 1985 T&D have serviced the UK and world markets with an extensive range of Electrical, Mechanical, Process & Instrumentation Equipment – our Export Department is staffed by a team of professional sales engineers, sourcing specialists, expeditors and customer service advisors. T&D global project experience has enabled us to build a solid reputation for the reliable supply of brand leaders – we consolidate your supply chain by providing single-source logistics to any international destination. 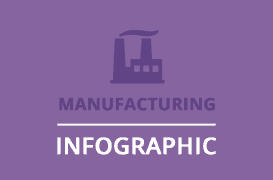 See how Thorne & Derrick service and support our key global markets and hazardous area industries in the following SlideShelf of Industry Infographics. Integrity, Values & Trust. T&D are a world-class business committed to ensuring the correct installation and application of all products we distribute. Where applicable installer training and support services including site surveys can be made available.